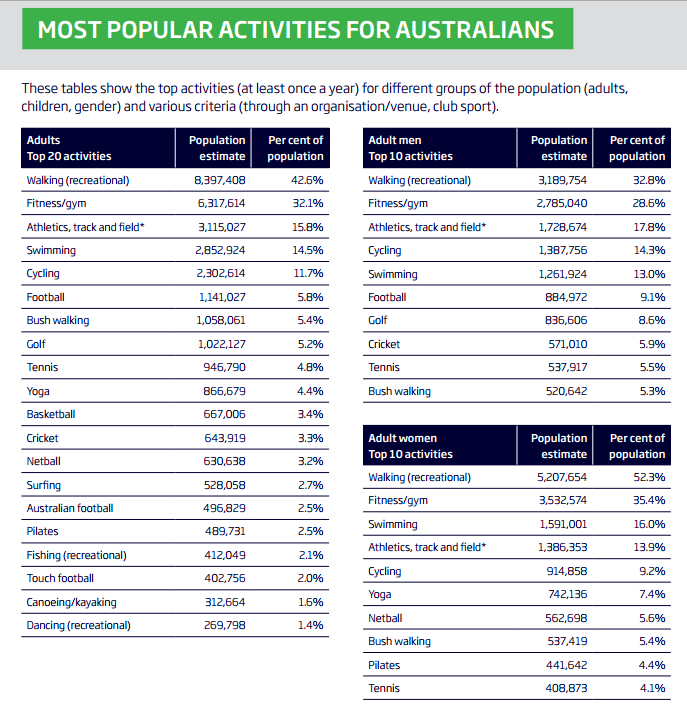 The Australian Sports Commission today released the first findings of the most comprehensive national population tracking survey into sport and physical activity in Australia. ASC Chair John Wylie said AusPlay collected adults’ and children’s sport and physical recreation participation data together for the first time. “The Australian Government’s investment in AusPlay means we will now have a deeper understanding of the sport and physical activity behaviours of our nation,” he said. Always dubious about these surveys. In this case, adult/child combined 24,000 ish interviews. Equates to about 0.1% of the population – assuming 24,000 individual contacts – . I wouldn’t be calling a federal election result based on 0.1% of the vote counted. 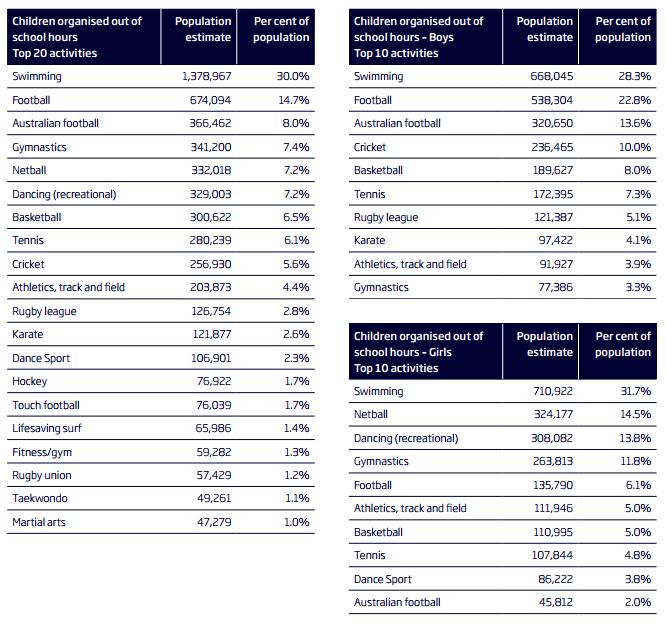 We know that across Australia there is massive volatility in sporting pursuits. And – the reality of this survey – if you open up the Excel workbooks via the ClearingHouseForSport website – the ripper note of “activities based on at least once per year participation”. Take these with a massive grain of salt. 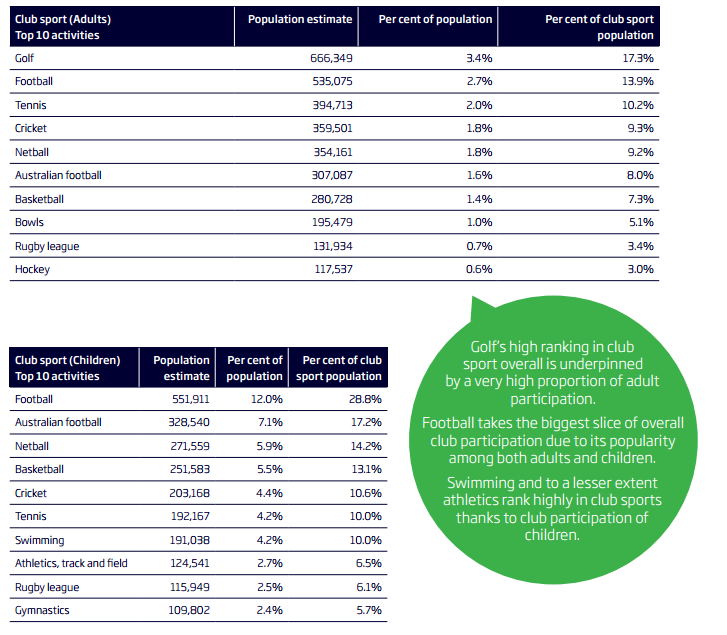 The FFA’s own 2016 Annual report providing data to the ASC based on registrations showed 499K registered ‘outdoor’ players – including MiniRoos!! Then they aggregate including social, indoor and schools for a full tally. No double ups there?? 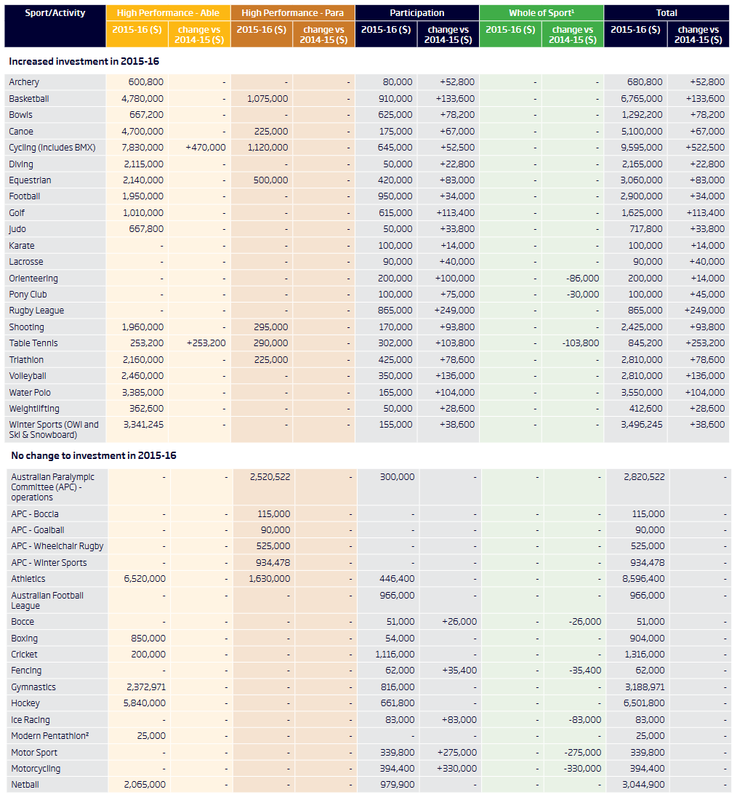 Likewise the AFL aggregation – schools are huge for AFL (not tallied in the ASC Ausplay by the way.) but certainly there will be kids playing club and school footy so you can’t aggregate for a full tally of participating individuals.